Game Night now has its official times and days! Sorry I haven't been around much today or yesterday, everyone. Had a pretty busy few days, but I just wanted to pop in to let you know that I checked the votes (which I declared as closed when I got home Friday night/Saturday morning because I make my rules for this all willy-nilly), and we now have our meeting times. As I mentioned in my last post, we're going to go ahead and go with Wednesday every week, with Monday meetings every other week. As of now, meetings will be held at 9pm EDT (EDT is -4 GMT, making it 1am GMT) for both Monday and Wednesday, since it had the leading number of votes for both days when I checked. Walfisch brought to my attention that we might want some ground rules. They're all pretty straight forward, and should be obvious to you all, but just in case, I'll post them here, and will add on if the need arises, but I trust that I will not have to. Be respectful and kind to your fellow TAY users. No racial, sexist, or homophobic remarks. On that note, you might wonder what game we'll be playing. Well, after looking at all the cheap options that we could play on the PS3, I noticed that none were cheaper than Uncharted 3's multiplayer, which is free to play off of the PSN store. Be sure to get your practice in while you can, because I'll try my hardest to do a write-up of our shenanigans after it's all said and done. I know you're sick of polls, everyone, so I won't make another. But if my 360 friends want to look below in the discussions and reply to a post that I'll make, I'll try to get you all acquainted with one-another and see what we can do for scheduling your Game Night on the Monday after next. I cannot lead this, because my moral high-horse is much too tall for me to reach down to turn my Live subscription back on*, so if someone would like to give me a little nudge in the post I make below saying you're interested in leading, I'll let you do it. Preferably the position will go to a TAY regular. No offense, people who are TAY irregular, but you're just weird. Next Wednesday, I'll post a reminder at around 4pm EDT (scheduled post permitting) that there is a Game Night meeting. On that reminder, please post your PSN ID if you would like an invite. On the off-chance that we have more people than can fit in one lobby, I'll let someone take over the main room and go wander off to make the next one. By the Wednesday after next, hopefully the Steam Summer Sale will be in full swing and I can select a game for all of us to play based off of what gets placed up for super cheap. Game Night is every Wednesday and every other Monday at 9pm EDT (1am GMT). We're playing Uncharted 3 multiplayer, which is free off the PSN store. It hurts my feelings when you don't read the entire announcement. Next week, there will be a reminder on the day of the session. Post your PSN ID's there, and I'll do my best to make sure everyone gets in. If you're a 360 user and are interested in Game Night, please reply to a discussion I will start below. Talk amongst your fellow 360 users, and give me a heads up if you're a TAY regular and want to lead the 360 group. We now have a Steam community! Click here to join our mulTAYplayer group! Please read the basic rules posted above. That's pretty much it! 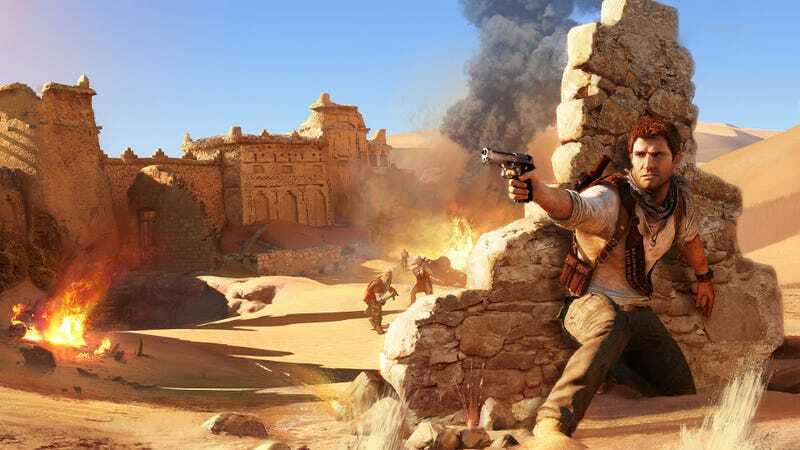 Remember to download Uncharted 3 this weekend and get some practice in. Have a fun-filled gaming weekend, everyone! I'll see you next Wednesday! *If you were unsure, this was a joke at my expense.